POCATELLO – The Portneuf Greenway Foundation is pleased to announce that it will be submitting a grant application to the Idaho Department of Parks and Recreation (IDPR) Recreational Trails Program to construct three new Greenway Trails Segments to provide a nearly continuous, off-street route from Fort Hall Mine Road to Pocatello Creek Road. Work proposed in the grant application includes grading, graveling and paving new trails from Fort Hall Mine Road to the Kirkham/AMI Trailhead on South 2nd; from Terry Street on the ISU Campus to the north entrance of the Portnuef Medical Center on Hospital Way and from the Monte Vista Overpass to Pocatello Creek Road. “We are very pleased with the positive working relationship we have with the City of Pocatello and the property owners who are allowing this project to move forward.” commented Dan Harelson of the Greenway’s Board of Directors. “The Greenway and the City each bring something to the table with this application and the whole community benefits as a result”. Rory Erchul, President of the Board of Directors added, "We've seen a lot of progress and trail build in the last five years. Our current board, both the City of Chubbuck and Pocatello, as well as the general public at large, are very much behind our efforts and driving our projects. The Greenway Foundation has proven we can plan, raise money and execute on the overall mission of the Greenway, with only volunteers, and we're proud of that." 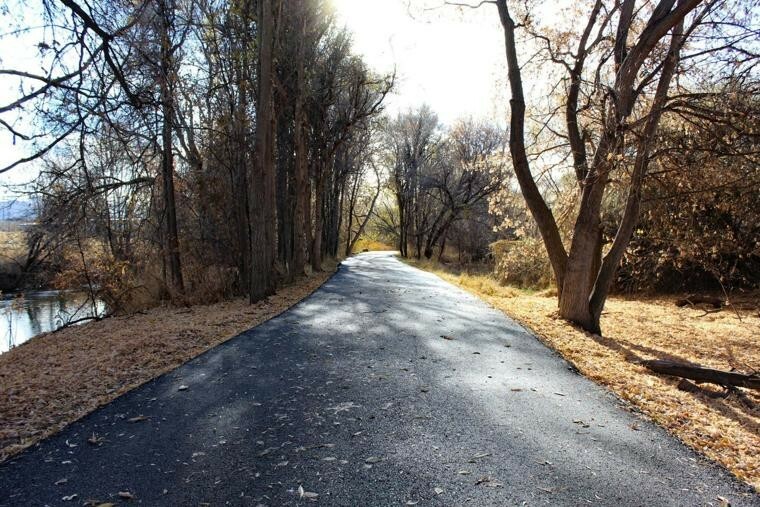 The mission of the Portneuf Greenway Foundation is to create a network of bicycle and pedestrian trails throughout the greater Pocatello area to enhance the quality of life for residents of the area by establishing and improving the Portneuf Greenway as a community resource. The foundation is a 503c organization established in 1992 and is governed by a volunteer board of directors and receives no direct funding from the City of Pocatello for public facilities. Development of the Portneuf Greenway is guided by the Portneuf Greenway Master Plan and a supporting Capital Investment Plan. Though the Greenway Foundation focused on establishing trails along the Portneuf River initially, the broader vision is to connect a comprehensive trail system throughout the Pocatello and Chubbuck communities.